The night before we left Yakushima, we met Georg, a young and enthusiastic Swiss architect who was full of praise for Naoshima when we told him we were heading there next. For years now I’ve been building my perfect house in my head, collecting inspiration from designs, materials and nice touches I’ve seen, and I asked Georg’s advice about how best to convey my ideas to an architect, which started a fascinating conversation..
Georg politely explained that I’d be employing the architect to do the design, so it’s far better to think about how I intended to live in the house, and to mention anything that affects the allocation of space, for example, where will I spend most of my time? Is the kitchen more important to me than the lounge? What impression should the house make from the outside? Then we started talking about materials and found we shared what some might call an unhealthy fondness for bare concrete. 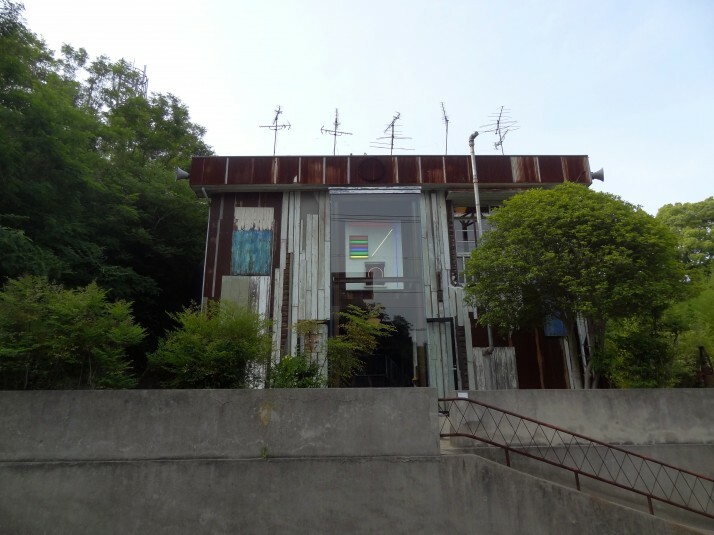 Georg showed me the works of architects who use concrete in their designs, and specifically those of Japanese architect Tadao Ando who is known for his ‘brutalist’ style of concrete, glass and steel, and I knew I was going to enjoy Naoshima. 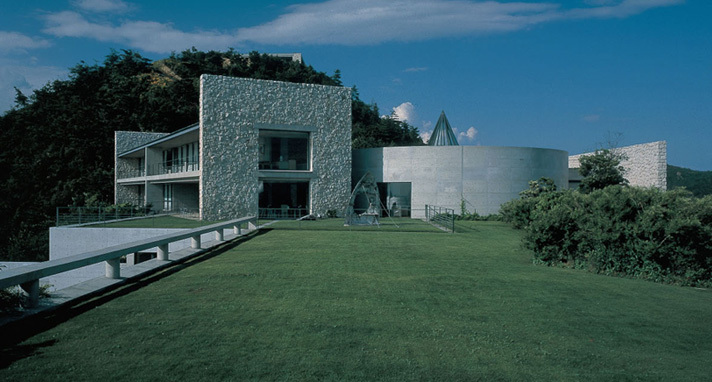 Tadao Ando is self-taught and one of the most famous architects in Japan. 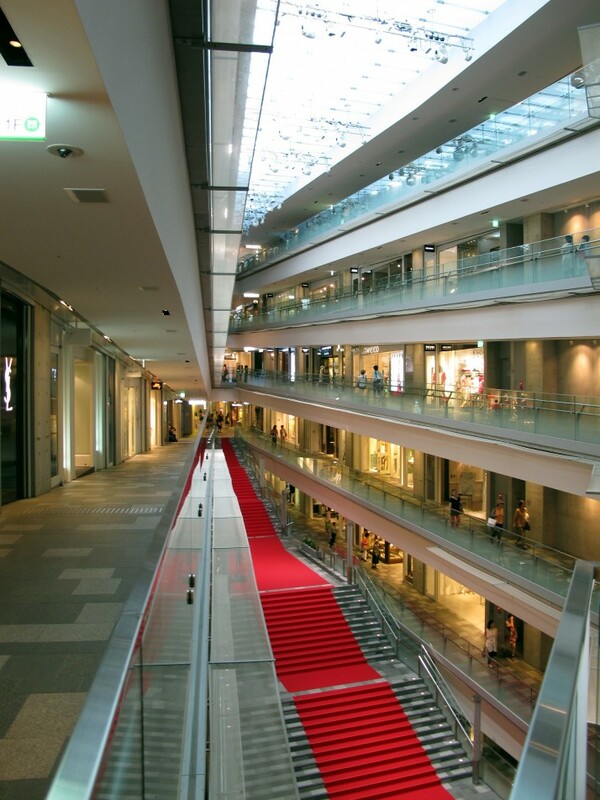 He has designed buildings across the world, including Piccadilly Gardens in Manchester (UK), Fort Worth’s Modern Art Museum in Texas (USA), and of course, many buildings in Japan such as the Tokyo Skytree, the Omotesando Hills shopping complex and three large museum spaces on Naoshima. We loved the mix of geometry and materials, the long underground entrance corridor of concrete reminded me of the D.T. Suzuki zen museum in Kanazawa, and ended with a square, open air staircase whose bannister concealed the stairs so from the ground it just looked like a large square atrium. 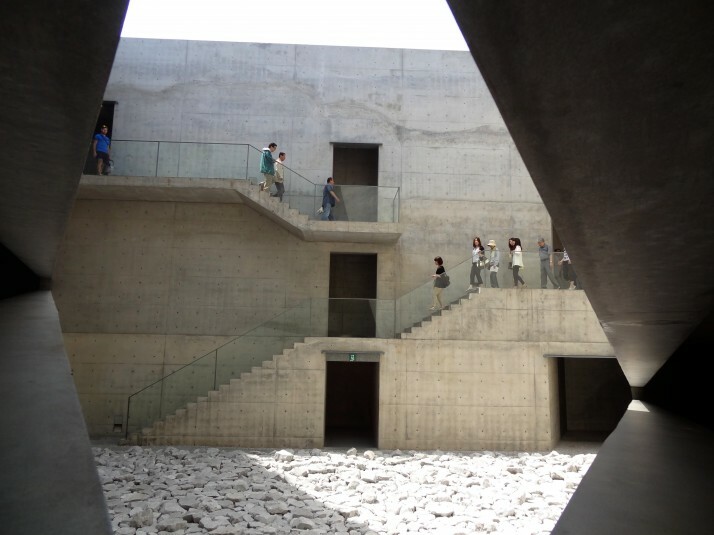 After climbing the stairs, another long open air corridor ends with a triangular courtyard which we descended to access the gallery spaces. We thought it worth visiting just for the museum building, but there are site specific installations by 3 artists, including a stunning off-white room of natural light built specifically for 5 of Monet’s Water Lilly series paintings, 2 immersive installations by James Turrell, an American artist who presents light as art, and a large stepped room containing a huge sphere surrounded by various geometric cricket-stumps by Walter De Maria which was Julie’s favourite. 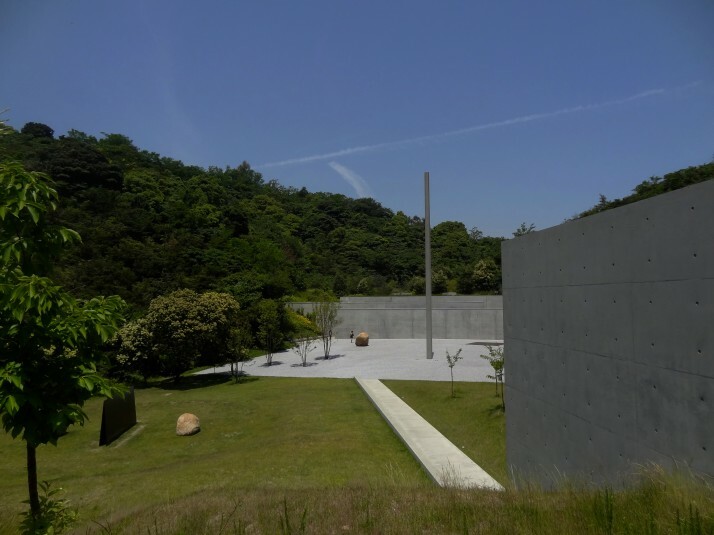 The Lee Ufan Museum is a small museum, again designed by Ando and again built into the landscape. We liked the contrast – the large open space outside with the huge standing column gave a feeling of openness and accessibility, but this initial feeling is quickly betrayed by the claustrophobic passageway of 18-foot high concrete walls one must traverse before arriving at the museum’s underground entrance. Inside, the journey through the gallery spaces continue the theme of contrast: light then dark, large then small, each carefully planned for the exhibition of one of Lee Ufan’s installation pieces, until the final room. Medium in size, with natural light, wooden flooring and rounded corners, the final room is juxtaposed with the rest of the museum, a final contrast if you will, and it invites contemplation because it’s designed as a mediation space. I really liked this – a dedicated space where you are encouraged to sit for a while and reflect on the art and architecture you’ve just experienced. 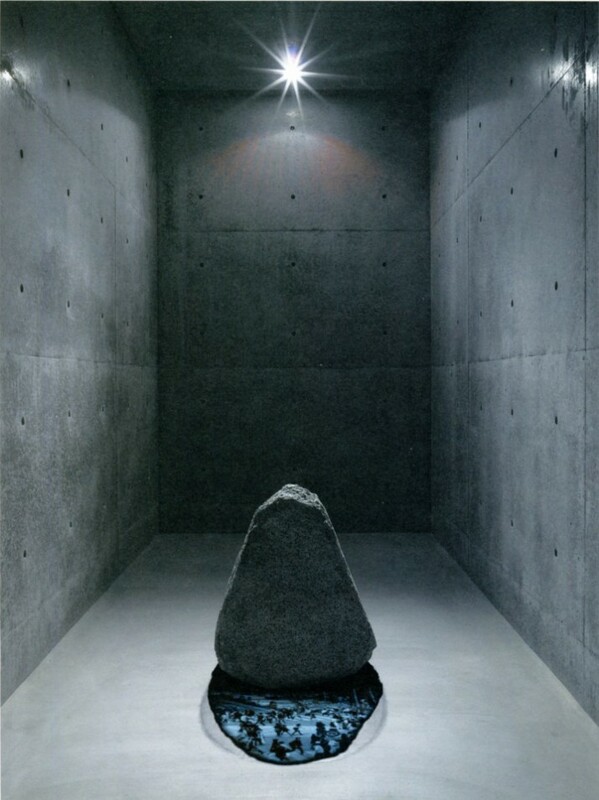 Of the artwork, I enjoyed the mix of Lee’s work – the large abstract block paintings of the ‘Encounter’ room (entitled ‘From Point’ and ‘From Line’), and the ‘Shadow of Stone’ piece where a video was projected into the shadow of a knee-high stone was captivating for both its content and execution. The original museum project of the island, the Benesse House Museum is part of the larger Benesse complex that also includes an exclusive hotel, park and a beach. 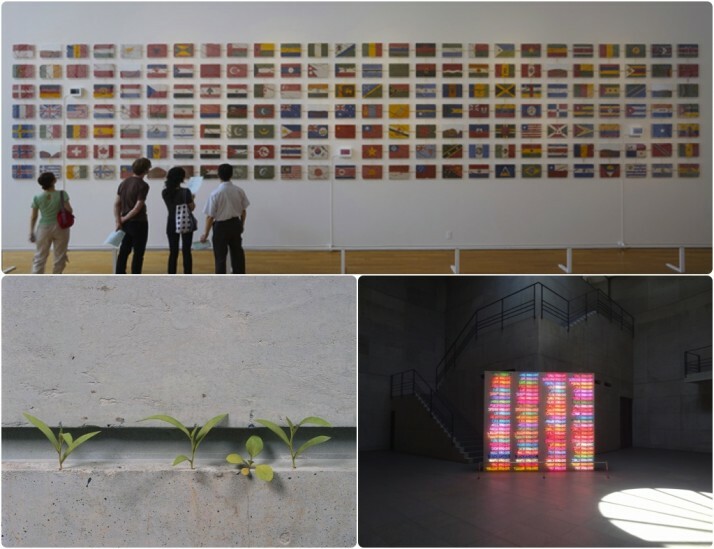 While still incorporating permanent artwork installations such as the Oval (which, sadly, is only open to guests of the hotel), the Benesse Museum is more of a conventional contemporary exhibition space. Our favourites were the wall of country flags made from painted sand and joined up into a giant ant-farm, which meant the ants had completely destroyed some of the flags (we tried to identify as many as we could! ); the flashing neon wall of words and the very cute piece by Yoshihiro Suda called ‘Weeds’, which look like small weeds growing out of the building itself! The Art House Project is a collection of regular dwellings that had been abandoned, and were subsequently turned into art installations. A single ticket buys entrance to all 6 of them, and it was fun to cycle between them, as they’re all located in the small port town of Honmura. We’d spent most of our day at the bigger museums, but we had just enough time to quickly visit each house. 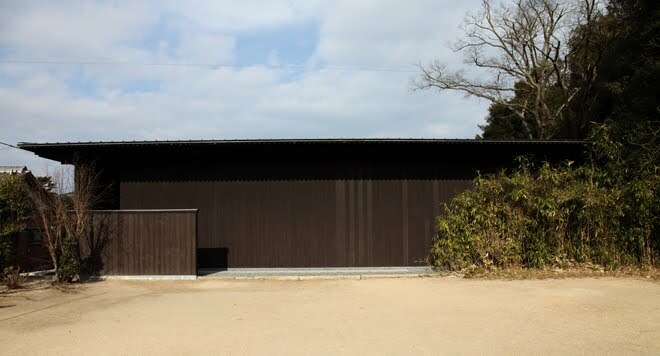 On the advice of the ticket staff, we made a beeline for the Ando designed Minamidera, as entrance was limited by number and to 15 minute blocks – which immediately piqued our interest – that and it was built for another James Turrell installation.. While we waited for our turn, we zipped off to see the others before returning for what would be my favourite single exhibit of the island. Julie really liked the crazy Haisha, which is aptly described as a ‘scrapbook’ and includes a giant plastic statue of liberty, and we both really liked Kadoya with its pool of submerged LED numbers counting down at different speeds. Finally, Minamidera. We were led into the short end of the building by a handrail because it’s an installation in the dark. Once in, we sit down and are advised to wait about 10 minutes for our eyes to adjust. 10 minutes later, we can now make out two faint lights at either side of the other end of the room, and between them we were asked if we could see the screen – an empty rectangle of grey that looks like a cinema screen. Once we were all able to see it, I was expecting a show to start, and thinking that the show had already begun, I started seeing little stars move across the screen..
Then we were asked to stand up and approach it. What I thought had been stars were actually the blood vessels in my eyeballs, and as we got to the screen we found it was completely uniform in colour. Then came the surprise. 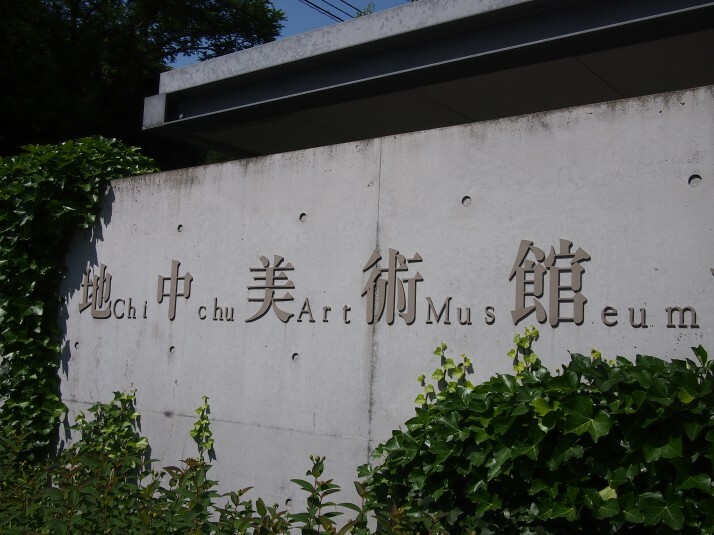 We thoroughly enjoyed the art and architecture-packed day on Naoshima, but as each museum charges around ¥1,000 (~£6) for entry (or ¥2,000 for Chichu), we spent ¥5,000 (~£30) each, and that doesn’t include lunch, bicycle hire, or the round-trip ferry to get there. Yep, it was an expensive day on our budget, but it was definitely worth it! 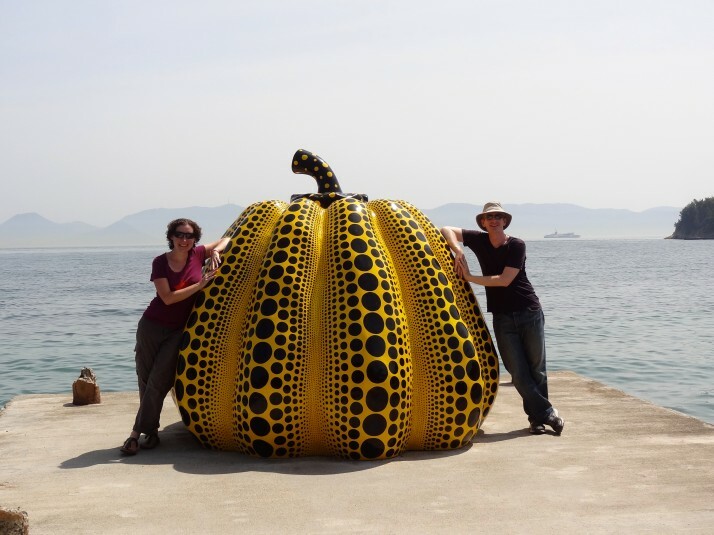 This entry was posted in Places and tagged Art, Japan, Museum, Naoshima on June 28, 2014 by Andrew. Aw, now I want to know what happened next! It’s cruel to leave us stay-at-homes in suspense like that. You know I’m going to spend the entire fortnight in Uzbekistan trying to force you to tell me. Glad you liked the place. 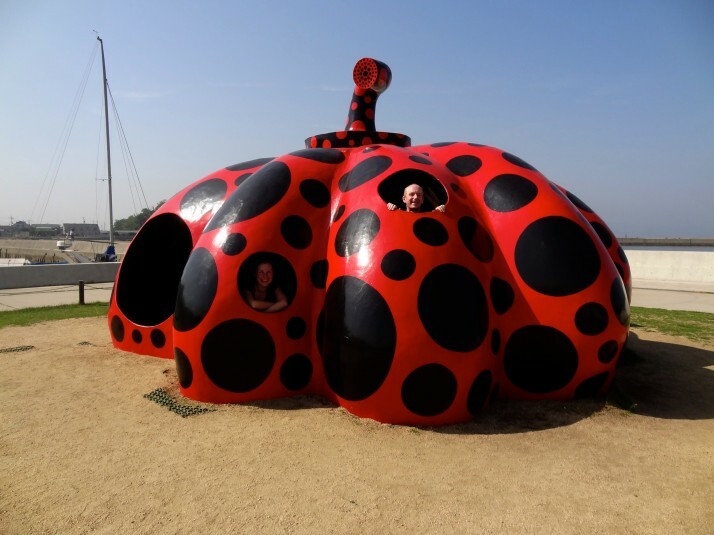 Just catching up on your blog posts about it – you made some great photographs! What is 16 + 33 ?